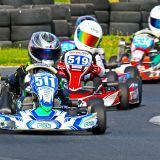 Vereeniging’s Laserfiche raceway hosted the penultimate fifth round of the Northern Regions Rotax Max karting Championships as ideal Highveld Spring Day conditions played backdrop to an often dramatic day at the races as a local lad stole the headlines. The premier DD2 gearbox class was all about home hero Arnold Neveling who took pole position and went on to win all three races from lights to flag with the fastest lap each time too. 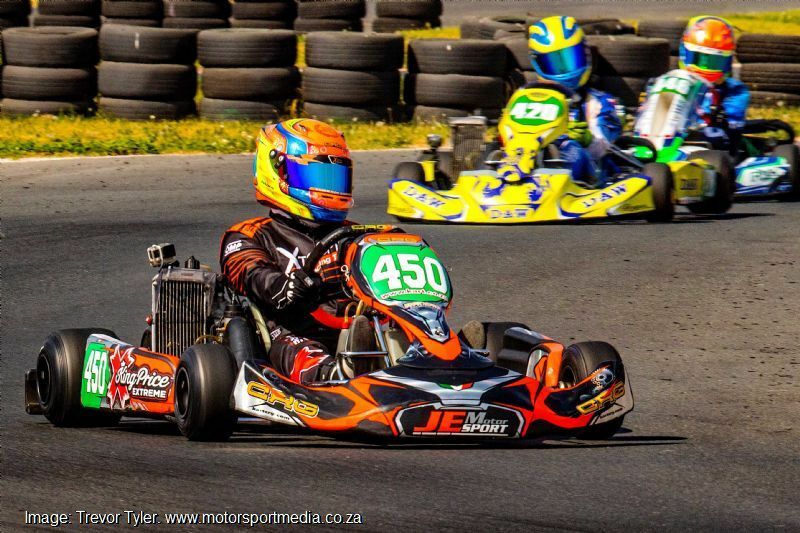 It was busy behind him however, as the returning Jarryd Wray followed Arnold to an easy second in race 1 once the racing finally got under way after an early red flag, but Maputo visitor Karl Pitzer had to overcome a four kart dice to take third in the opener and then second in race 2. Bradley Liebenberg missed the first race but rushed back from GTC main circuit duty at Kyalami to race from the back to third in race 2 and then overcame Pitzer early in the final to chase Neveling home in second. So Neveling took the day at a canter from Wray. A consistent Anton Pommersheim ended up third for the day from Pitzer who hit trouble in the final. 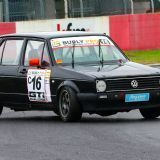 Masters winner Pascal Acquaah came home sixth overall after taking the first two class wins before fighting back to second in the final behind Philippe Chapat to take the day in the class for elder drivers. 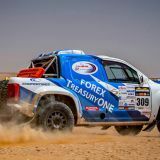 Nicholas Spanoyannis	was next up ahead of Naomi Pitzer, Llewellyn Myburgh and Chapat in tenth overall from Jamie Smith; third Masters man Carlo Gill, Ian Allnutt, Scott Waddington, Brandon Smith and Jeandre le Roux. 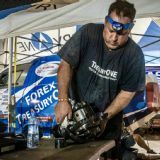 Jordan North endured a day to forget after taking an early shower following that red flag incident on the opening lap of the first race. Jordan was catapulted into the air and rolled numerous times — he was taken to hospital by ambulance but released later with bruising but nothing broken. Wayland Wyman was dominant in Senior Max to take the day in spite of losing out to a last lap incident in the final. Wyman took pole and led all of race 1, before moving ahead on lap 3 and speeding off to the race 2 win too. 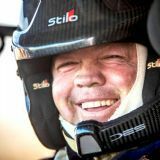 Wyman then diced hard with Liam Pienaar in the final, only for the two to make contact on the final lap of race 3 to eliminate Wyman as Pienaar limped home last of the runners to also incur a nose cone penalty. 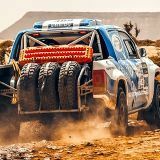 That left Nicholas Verheul to take the final win to clinch second for the day ahead of Pienaar, Reobaka Komane, lady racer Shannon Jackson and Luvuyu Mobwano. 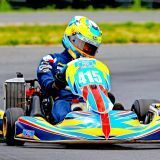 Jayden Els was another driver to prove unstoppable in under-15 high school Junior Max as he took pole position and then led every lap of the day, except the third tour of the final when Jarrod Waberski sneaked by. 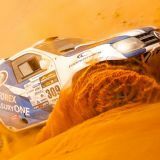 Waberski took second for the day from Nathi Msimanga and Leyton Fourie as those three fought throughout — Msimanga took second with a move on the final tour of race 1, while the second and third races were more straightforward. 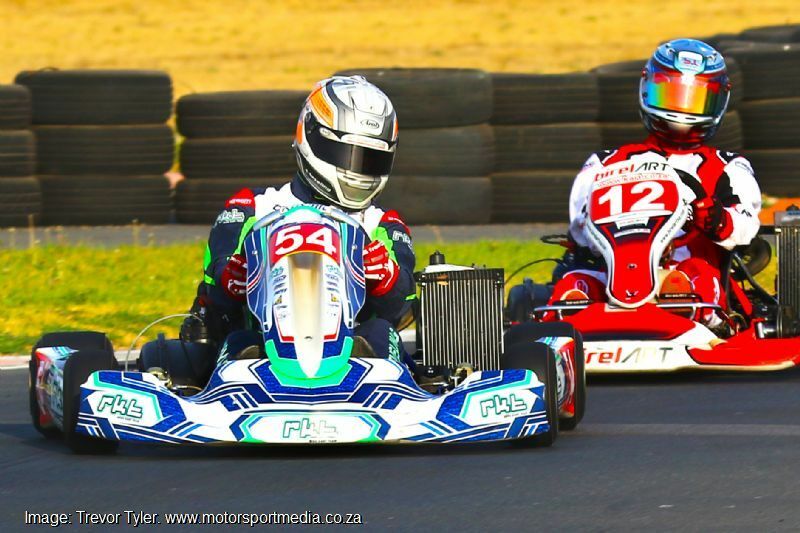 Daniel de Paiva edged Kwanda Mokoena for fifth on the day in spite of Kwanda taking second in the final, with Aqil Alibhai next up from Joseph Ellerine, Ethan Coetzee and newcomer Lorenzo Cianfanelli in tenth, ahead of Daniele Patrizi and Tiffany Napier, who suffered days to forget. 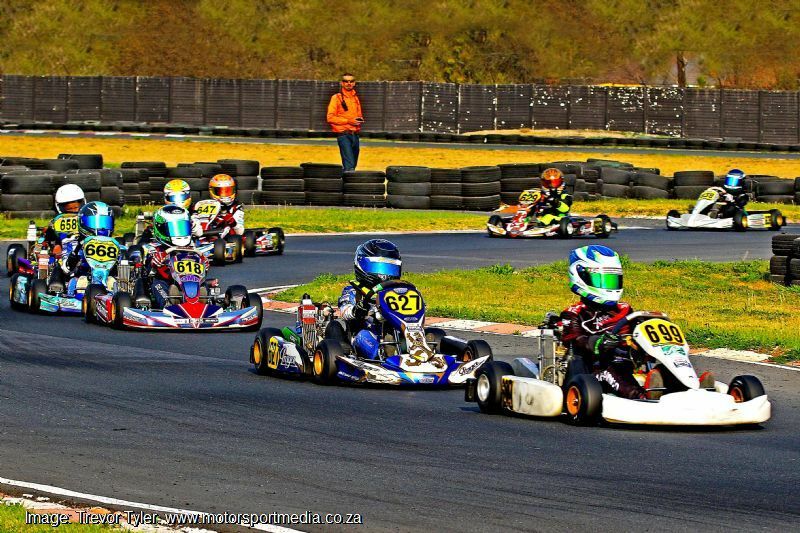 In primary school action, Michele Patrizi made his intentions of upturning up the under 8 Mini Max rulebook known with pole position, before fourth place in a crazy opening race became second behind Jayden Goosen when first, winner Matthew Morrell was excluded for being underweight and then second place lad Jordan Brooks incurred a 5-second penalty for a dislodged nose cone to drop to fourth behind Liam de Beer. Patrizi then secured the overall win for the day when he came from third to win race 2 after passing Brooks for lead on lap 8, and then following Brooks and Morrell home in the final. 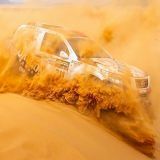 Brooks ended up second for the day from Goosen, de Beer, Joshua de Paiva and Morrell in sixth, followed by Mandla Mlangeni, Taya van der Laan and Josh le Roux. 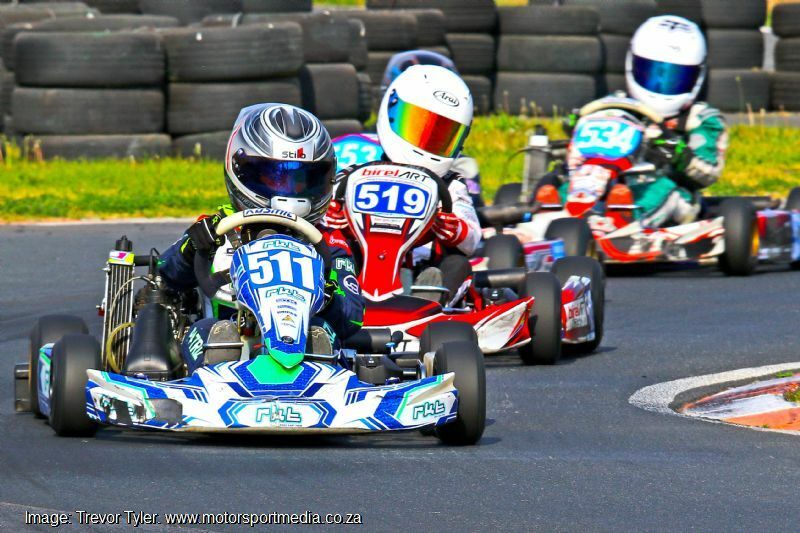 Muhammad Wally beat Joshua de Paiva to under-11 Micro Max honours after he came out on top of a wild final race dice to beat Mohammed Moerat and Luviwe Sambudla to third and take the day. 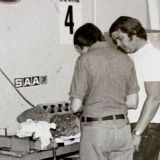 De Paiva had won the first two races after he overcame Moerat on lap 4 to drive away to leave him, Wally and Kent Swartz fighting over second, before De Paiva took a little longer to extract himself from a wild fight up front to win race 2 from Wally, who passed Moerat for second on the last lap. 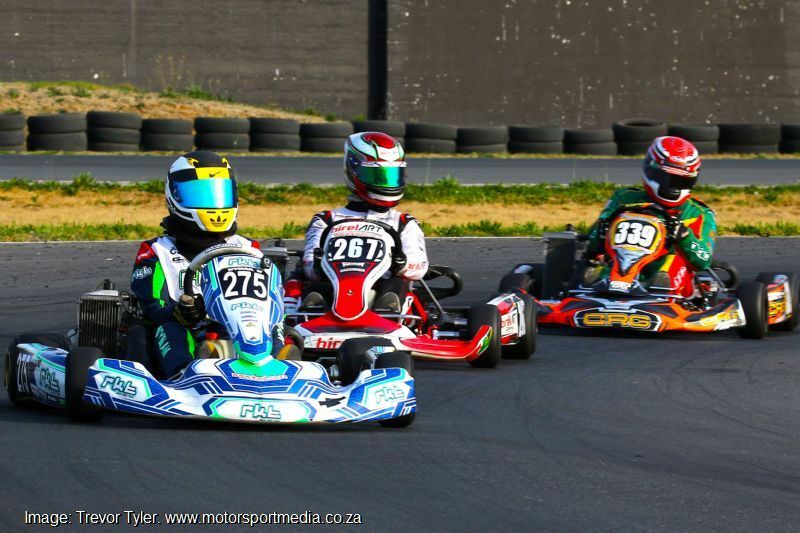 Moerat took third overall from Kent Swartz, Luviwe Sambudla and KC Ensor Smith, with Bjorn Bertholdt next after losing out on his maiden win in race 3 when he came off worst in the final lap fracas, but he still edged Kyle Beukes for seventh overall. 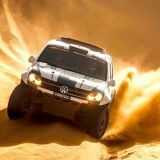 Erich Heystek and Wian Boshoff rounded out the top ten ahead of Judd Bertholdt, Ntiyiso Mabunda and Mahlori Mothlabani. 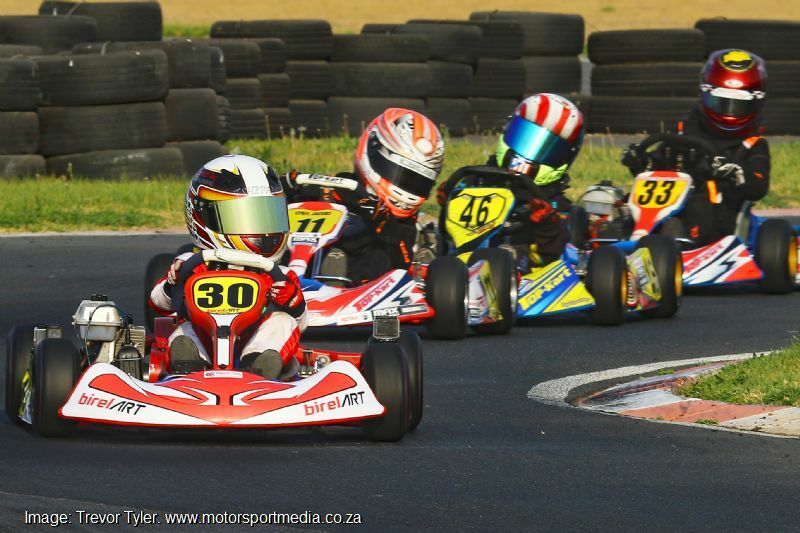 Tshepang Shisinwana	was another to dominate in the under-8 Bambino karting nursery, qualifying on pole and overcoming a wild opening race first lap before recovering to move ahead on lap four and never looking back throughout the next two heats. Cyril Jacobs fought back to second with a couple of seconds in races 2 and 3 to pip Aadam Kajee to second with Anesu Maphumulo fourth from Troy van der Laan and Keagan Beaumont. 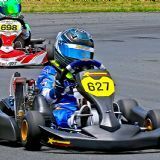 Now all that remains for the Northern Regions championship is the final round, once again at Laserfiche Raceway at Vereeniging, but first is the small matter of the SA National Championship Rotax Max Challenge Finals at Zwartkops Saturday 29 September.